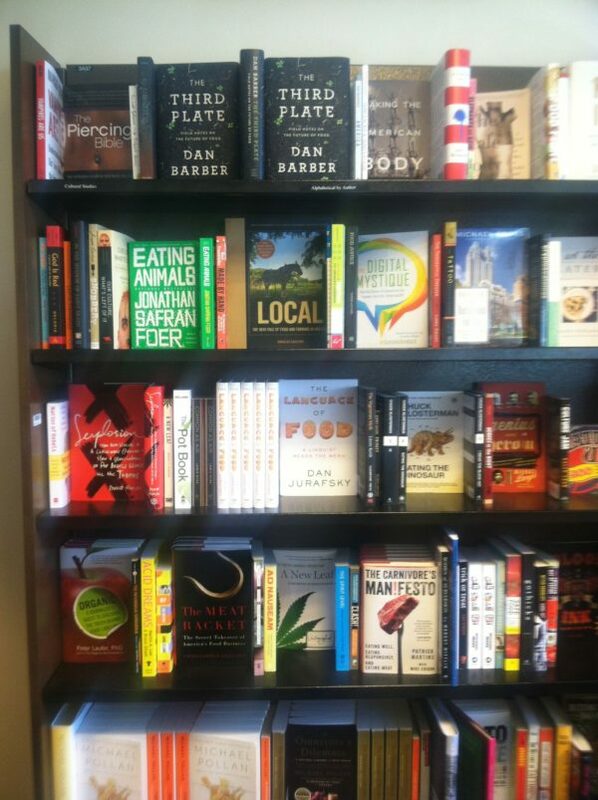 At the Santa Monica Barnes & Noble, the "cultural studies" section is largely devoted to food. And all of those are before you get to Michael Pollan, whose phenomenal success undoubtedly explains why publishers put out so many food-related cultural studies. The section features Pollan's Cooked: A Natural History of Transformation and The Omnivore's Dilemma: A Natural History of Four Meals, a modest selection of titles. Once past Pollan (and the easily overlooked non-food book by Postrel), the list of food titles goes on: The End of Food, Blessing the Hands That Feed Us: What Eating Closer to Home Can Teach Us About Food, Community, and Our Place on Earth, and, of course the best-seller Fast Food Nation: The Dark Side of the All-American Meal and movie tie-in Food Inc.: A Participant Guide: How Industrial Food is Making Us Sicker, Fatter, and Poorer-And What You Can Do About It. The food books in this section are all indeed cultural studies; nutrition and cooking have sections of their own. Most of the section's other titles are about drugs (particularly marijuana), tattoos, and piercing. Why, in Santa Monica at least, does "culture" now equal "food"? There are two reasons. The first is the way Barnes & Noble is organized. Many cultural topics, including religion, entertainment, fashion, and sports, have sections of their own. "Social science" siphons off most of the sociological books that have any element of rigor (which is not to say they're academic). The adjacent Asian, Hispanic, Native American, African-American, Gay, Lesbian, and Women's Studies sections take care of most of the other cultural works. What remains are books that address the other ways that white people in Santa Monica define their cultural identities: drugs, body modification, and, above all, food. Your ancestors may have rebelled against food taboos but, these days, you are what you refuse to eat.